While website designing might seem simple, there are some very crucial aspects to keep in mind which make it more complicated than just dragging text and graphics together. If you have a clear understanding of the coding behind a website (such as HTML, CSS, PHP, ASP), then you have the potential to create your pages and determine content, color, text size, tables, and much more yourself. However, if you have only some basic knowledge of coding to develop a website, you might choose to use a website designing software package or want to hire one of the best web design company in India or any other nations to assist you. Whichever technique you opt for as best to design your web pages, the first thing you have to do is put together a plan of action, i.e., to note down what you wish your site to accomplish and who will be using it? Here we will see which points do our businesses need to consider during website designing and what factors are essential for that. What information are you trying to offer? What should be on the page? Are there videos? Links? Documents? Is it text-heavy or graphical? You need to consider all these things before starting the website designing to ensure they fit and work perfectly. You can scribble with a simple pen and paper and see how all the components required on your page fit together. Once you get the perfect idea of just what the page must be doing, it is way easier to move ahead and design it. You have to know whom you are trying to reach before you begin with website designing. Understanding your customers will assist you to provide them with the information in an appropriate manner. There is no point, for instance, in writing your content in a way which people could not get to the idea. One of the most significant obstructions for visitors to a website is not being able to find what they are seeking out. Many times, the visitors only wish to find the content quickly. To that conclusion, you must consider how users can navigate all over the site. Well, there be a complete sitemap, will you provide the main navigation on every page, will you offer search boxes or quick visit drop down menus? If people can’t quickly go around your site, you may find them leave and don’t return. Clear navigation is also imperative for search engines as it enables them to scuttle your website to rate your content easily. Loading speeds are becoming significant, mainly provided with the social media items that can be dragged onto a page. It’s no longer tough to tug all the videos and photo albums directly from the likes of Flickr or YouTube. If your page has lots of images, too much text, lots of feeds or videos then you might see that is not loading quickly. If this is the speed scenario on your internet connection, consider how it will be for those on the dial-up internet or even slower broadband connections! When incorporating graphics into your website designing, make sure to save them in an appropriate format (JPEG and GIF are the most popular). When adding shapes, lines, backgrounds, keys or any graphics that only have a few colors, a GIF file is perfect. JPEG files are well-matched for pictures. Also be alert to the size of the file you save. The bigger the file size, the slower your web pages will load. Also, make sure to utilize “Alt” (alternative) text on your web pages. These must be based on how best you trust they can assist in representing your message to your targeted audience. Small fonts won’t suit those with reading problems, and specific colored text on some background colors are tough to read (e.g., orange text on a red background or white on a yellow background). Fonts don’t always load properly on different browsers either, thus make sure to test before checking which fonts you will use in website designing. A crucial factor when opting for a design is a headline. This factor is almost certainly the first thing your visitors will see and is precisely the thing they will look on to get the gist of the content on the webpage. Ensure that it grasps attention and is pertinent. For example, you wouldn’t write “information on product X” if the page was in fact about product Y. Here, we reviewed what could be the critical aspects to consider during website designing. Well, there is another important aspect which says that you must hire website designing services. You might be thinking why? Please stay on with us to know that. What are the actual benefits of hiring web design services? A Professional web development company is highly capable of implementing innovative technologies and imparting a professional look to your website. From designs to navigation, from content to color schemes, they work on each of these aspects to sustain the highest standard in quality and creativity. The site developed by a professional web design company is very well-structured and organized and encourages users to stay a few more minutes to discover it further. Thus, this makes it a positive first impression. 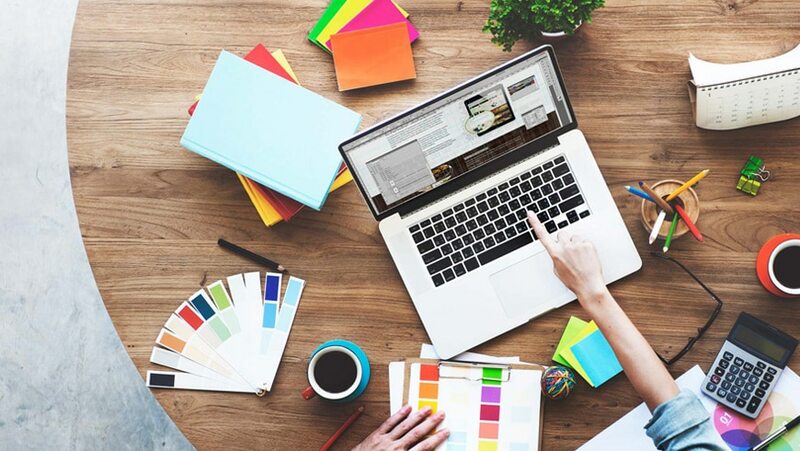 Read More: Reasons you should redesign your website in 2019? Website designed by top web development companies has very smooth navigation which makes it easy for users to browse through and makes sure an adequate experience. This adds up to one of the various reasons that induce users to keep visiting your site many times. Always hire a custom web design company. The line spacing, choice of fonts and concise and clear content are details that make the real difference. These components might sound insignificant, but they do improve the overall quality of your site and make it efficient functioning and readable. Don’t mess up your message by placing in astonishing details and inappropriate information. Be accurate and exact. In this matter better to go with the professional web development in the USA or any preferred nations that offers all sorts of web development services. You will find millions of websites look similar, having the same design pattern and color scheme. However, some of them fail to speak out why they’re special. This is where the variance lies. The experienced website design and development company of India or any other countries collect all your unique selling points into one clear message to ensure uniqueness and quality. A site designed by experienced web design and development company gains many long-term benefits. It produces website traffic and steadily progresses your ranking in search engine results. Professionally designed websites place a strong foundation for your online business and provide you a right percent of ROI. If you have a stress-free navigating and faster-loading site then yes you are going to achieve more customer conversions. Thus, a professional web application development company from India or any other country is necessary to make your website always superior and perfect. No extra calculations are needed for the support of the website because chances of day to day developing issues are lessened to the minimum when designed professionally with the help of Custom Web Application Development Company. Also, the quality websites leave enough space for improvement, and the changes you might want to make after the development and live functioning of the first site. Read More: What are the benefits of developing websites in India? Website designing can be a simple or intricate process depending on your own personal creative and development ability, and the tips above are envisioned to help you. Still, there occur scenarios when you might or might not be able to handle everything alone. At such times, consider opting for a best web development company in the USA or any preferred nation that can offer you an excellent package of website designing and development services every time.